It is normal for iPhone users to use voice memos several times a day to keep track of certain things. 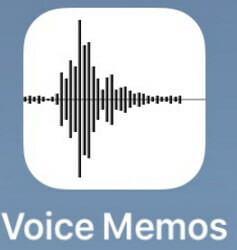 Not long ago, people started using memos option available in the iPhone that was replaced by the latest voice memos. What if you have been saving important information in form of voice memos for a while now and they are deleted for some reason. It would be a disaster, right? If your voice memos disappeared or deleted for any reason, this article depicts a step-by-step guide to extract voice memos from iPhone backup. First, the iTunes and iCloud backup available in iPhone does not allow you to extract or view voice memos within them. From this point of view, it seems that you cannot extract the voice memos using the iPhone backups. However, this can be solved easily with the updated technology. This is where third-party iPhone data recovery programs come in handy. These kind of programs provide an advanced access to iPhone backups where you can extract or view voice memos with ease. You can extract voice memos selectively or fully. You can extract voice memos without affecting current data. You can view and extract voice memos from iTunes/iCloud backup. Compatibility with all iOS versions and devices i.e. iOS 12 and iPhone XS Max/XS/XR. All the user content and information remain secured. Step 1.Launch iMyFone D-Back on your desktop computer or Mac. 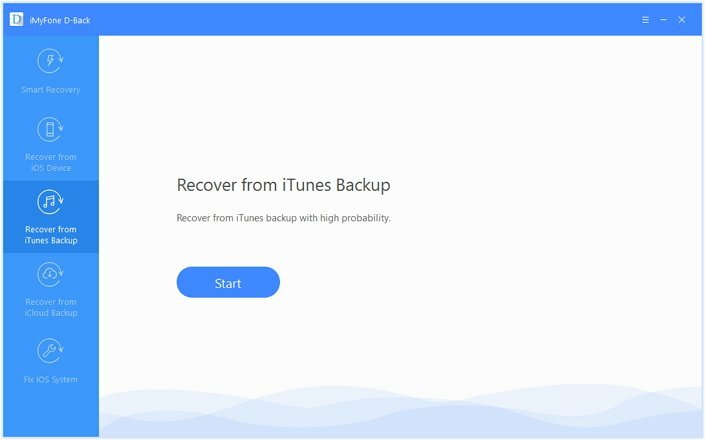 Select the “Recover from iTunes Backup” tab and click “Start” to proceed. If your iTunes encrypted with a password, log in to the iTunes account using the passcode you have set before. Step 2.Now determine the most relevant backup by going through the date and time of each backup made. Click “Next” after selecting an iTunes backup. Step 3.Mark the tick on the “Voice Memo” icon under the “Memo & Other” category. Click “Scan” to start looking for voice memos in iTunes backup. Step 4.After scanning, you can preview the recoverable voice memos. 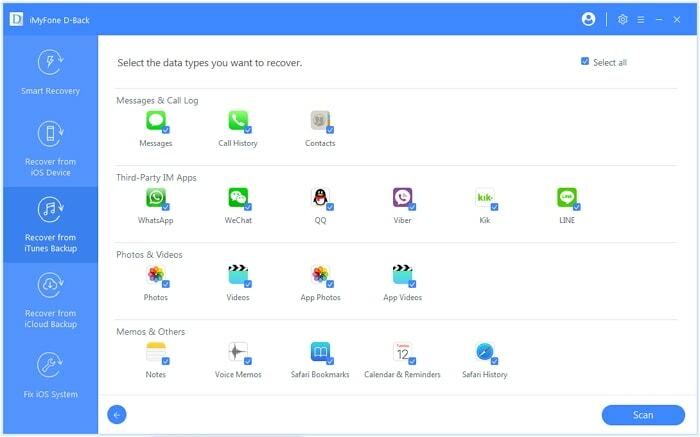 Select what you need and click “Recover". 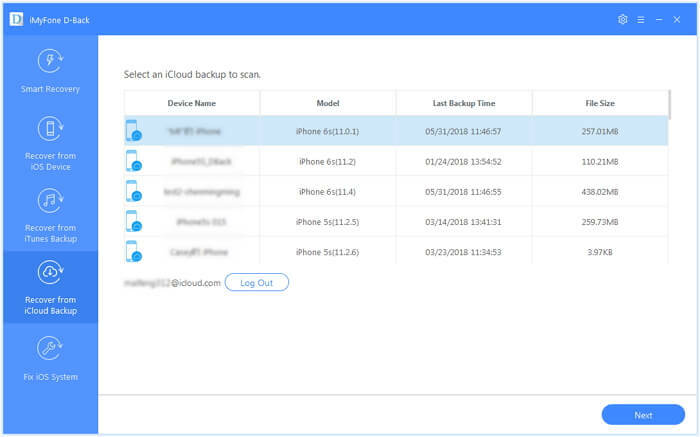 Though iPhone does not allow you to specifically recover voice memos from iCloud backup in an official way, you can perform this operation with iMyFone D-Back. Here is how you can do it. Step 1.Install and open D-Back on your Mac or PC. Go to the “Recover from iCloud Backup” tab and click “Start” to begin. Step 2.Sign in to your iCloud account and select one iCloud backup. 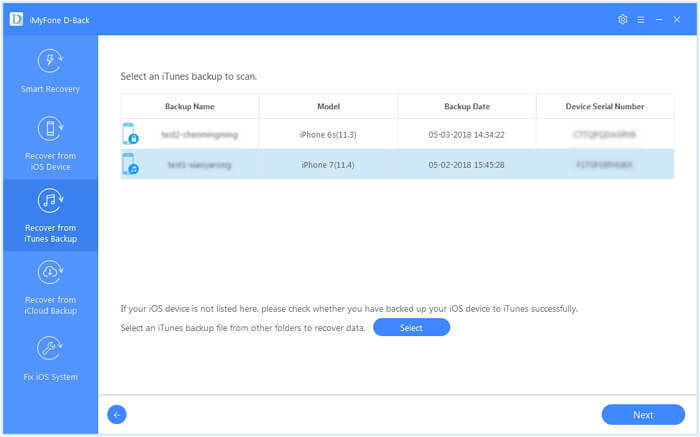 You can determine the relevant iCloud backup using the date and time of the backup. Click “Next”. Step 3.Select the “Voice Memo” icon under the “Memo & Other” field. Click “Scan”. 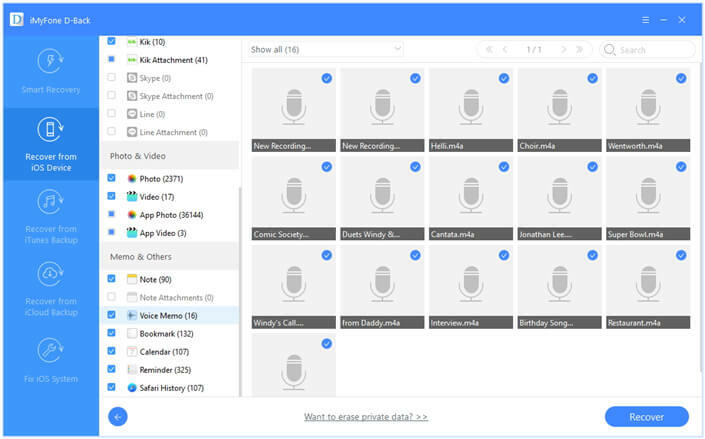 Step 4.After scanning, you can preview a list of the voice memos. Select the one you need and click “Recover” to complete. In case you have not made any backups in the iPhone and want to recover lost voice memos from directly from the device, here is how you can do it. Step 1.Open iMyFone D-Back on your PC or Mac. 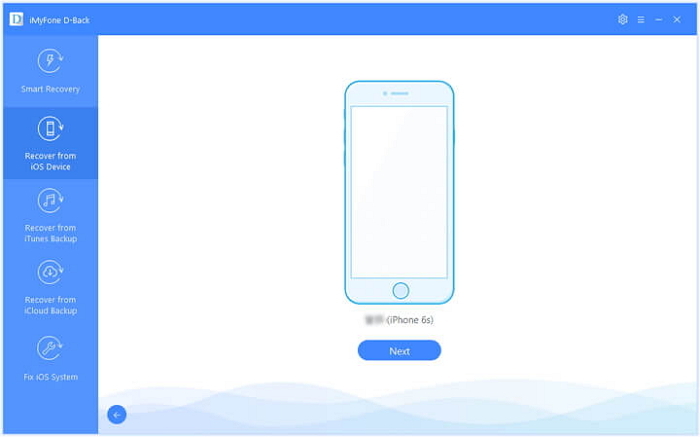 Click the tab “Recover from iOS Device” and click “Start” to proceed. Step 2.Using a USB cable, connect the iPhone with the computer and wait for a few seconds.Click “Next”. Step 3.Then select “Voice Memo” under the “Memo & Other” menu. Click “Scan”. Step 4.Then view and choose the existing/deleted voice memos you need. Then click “Recover” to save them to computer. Using a third-party program to extract deleted voice memos from iPhone is the only option in this scenario. You can easily extract the voice memos either from the iOS device, iCloud Backup, or iTunes backup. Do not hesitate to try D-Back with the free trial version. Following the above steps provides the utmost probability of voice memo extraction. Let us know if you are able to extract voice memos from iPhone backup with D-Back in the comments section. How to Restore Only Voice Memo from iPhone Backup?